Arte Útil / In the Real: Arte Útil, the Netherlands and the Van Abbe (1960-1985). In the Real: Arte Útil, the Netherlands and the Van Abbe (1960-1985). 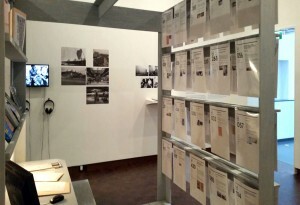 Just after a year after hosting the Museum of Arte Útil, the Van Abbemuseum presents a selection of case studies form the archive from 1965-1985. Surrounding the structure is a number of projects that took place in the Van Abbe, in Eindhoven or the Netherlands, placing Arte Útil in dialogue with a contemporaneous social, political and artistic discourse happening here. 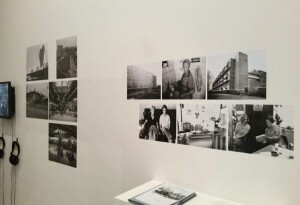 These projects range form Arte Útil case studies such as the Provo movement to exhibitions in the museum such as the now iconic de Straat (1972). The exhibition takes place as an intervention in the museum’s collection display ‘Once Upon a Time’, inviting users to think about an alternative art history. Similarly, the Arte Útil archive, which users are invited to browse and add to on computers, offers another system of documenting and categorizing artistic thinking, proposing different means of traditional knowledge production to accepted, institutional models.